Creative Financing and Cash Bootstrapping – When Friends, Family and Fools Fail! Raising cash can be the most important activity for a start-up company. But what do you do when you have exhausted the money from friends and family and are not yet ready for angel and VC investment? In our fifth seminar we will explore some creative methods to finance your business including accessing inexpensive resources such as talent and exploring options to go public. Ulrich Krull, Vice-Principal: Research, University of Toronto, is appointed as Professor of Analytical Chemistry and holds the endowed AstraZeneca Chair in Biotechnology at the University of Toronto. He serves as the Vice-Principal: Research at the University of Toronto Mississauga. Krull has played key roles in 4 start-up companies that have incorporated work from his research team in the area of diagnostic technologies. He continues to serve on a number of corporate boards for pharma and analytical service companies and associations. Krull led the consortium of industry, government and institutional partners that evolved to form the Research Innovation Commercialization Centre. John Lombardi, Business Consultant, Mina Mar Group, is a business consultant with the Mina Mar Group where he assists SMEs raise capital, offering M&A, IPO, and investor relations services. He has helped raise over $6 million dollars through his work in real estate marketing and Loblaw Companies. John started trading shares on the stock market independently at the ripe age of 18. His research and understanding of business naturally lead him to Canada’s top business school, the Schulich School of Business. Chris Skura, CEO, Skura Corporation, is the CEO of Skura Corporation as well as Skura BI Group. His responsibilities for both companies include company vision, business development and building partnerships with leading companies worldwide. He has established Skura as a global leader in the pharmaceutical technology market and continues to ensure the company is building the solutions necessary to succeed in these times of rapid change. Prior to founding Skura Corporation in 1996, Chris was in sales operations at Bayer Inc.
Pre-Registration $25, Pay at Event $30 (covers breakfast and parking). 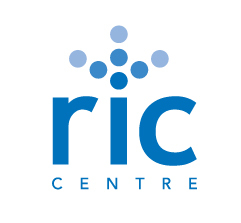 To register, visit www.riccentre.com. In a recent interview with Rick Drennan, the editor of the Mississauga Business Times, I was asked to explain the relevance of innovation to businesses operating in Mississauga. I made the comment that if you are not innovating your business, then someone else is. I suggested that more innovative companies created better solutions, better services, and ultimately better performance. However, as innovation involves risk and the possibility of failure, Rick asked about attitudes to risk. I suggested that the risk of innovating, should be compared against the risk of not innovating, and that the risk of not innovating could lead your business, however successful, to long-term failure (or acquisition by more innovative companies). Rick decided to lead the front-page story with the headline “Innovate or Die?” which at first surprised me. However, upon reflection, I began to see parallels with “Eat or Be Eaten” (Phil Porter, 2000), and reflected that in my experience more innovative companies are the usually the acquirer, rather than the acquiree. The problem is, that while many companies espouse the need for innovation, they struggle to implement innovation, either because they are risk averse, or have processes and systems designed to protect their existing businesses, rather than to innovate their future. In reality, organizations are designed to achieve a certain level of innovation, and changing this to increase innovation rates can require fundamental changes in the business that can damage the existing business. As a result, I suggest that companies recognize their own limitations and constraints to decide if they simply cannot innovate, are willing to change their internal processes, or can collaborate with third parties who can innovate on their behalf. We have introduced a new certification course at the University of Toronto, School of Continuing Studies, “The Foundations of Innovation Management” to help companies identify the innovation challenges facing their businesses, and develop appropriate innovation processes to help implement innovation processes. We launched an introduction to the course at a half-day conference in Toronto last month (www.innovationcentre.ca) and discussed both the innovation imperative, and the importance of seeing innovation as a process. The course is designed to change the mindset around innovation from product innovation in a small part of the company, to business innovation throughout the organization. The development of an innovation process helps both capture ideas inside the company and implement them, and as a result impact the bottom line. Importantly we focus not only on product innovation, but also process, service and business model innovation, all of which can increase company revenues and profitability. One of my colleagues in the design of Foundations program highlighted an insightful example from their period as a senior executive involved in innovation and productivity improvement at Royal Plastics. He used the example that Royal Plastics adopted innovative production processes that allowed them to produce molded plastic components at lower cost than their major competitors. This competitive advantage built economies of scale for the company, which both improved cost (and hence financial) performance and encouraged the company to increase innovation levels. They created a virtuous cycle of innovation and productivity improvement that led to cost reductions that allowed them to become a dominant player in the industry, and acquire both market share and competitors. In other words, they put themselves in the position of eating rather than being eaten. The Foundations of Innovation Management course (http://learn.utoronto.ca/bps/imc.htm) is designed to help people in small, medium, and large companies increase the rate of innovation in their businesses. First, it challenges assumptions about innovation that have inhibited companies from being more innovative. The most important observation, from examining innovation rates in companies, is that once the imperative of increasing innovation rates is established, the most important issue is that of introducing a more formal innovation process which can gather innovative ideas, select those worthy of consideration and implement those most likely to improve the bottom line, or enhance company value. The creation of a more innovative company requires not only the creation of an environment and culture that successfully stimulates new ideas, but where those ideas are assessed through an open communication process, and the more promising ones implemented (at least in a pilot). In addition, the company must constantly review the process to identify opportunities for process improvement, and specifically to learn from failure. The next “Growing your Business” seminar Dec. 9 will focus on Accessing Government Programs [in order to] Leverage Resources to Grow your business. The seminar is sponsored by RIC Centre (Research Innovation Commercialization Centre) and the Ontario Centre for Environmental Technology Advancement (OCETA) and held at the University of Toronto, Mississauga campus from 7:30 – 10 a.m.
Panelists include Amie Sergas from the MaRS Discovery District, Kevin Wright from the F.R.E.D Group Inc, and Niall Wallace from Infonaut Inc.
Amie Sergas, Manager, Mentorship Programs, Market Readiness Program of the MaRS Discovery District, manages the mentorship programs and works with partner commercialization organizations for the Business Mentorship and Entrepreneurship Program (BMEP) at MaRS Discovery District. BMEP is a $17M program, part of Ontario’s Market Readiness Program that provides support services and mentorship to high-potential technology entrepreneurs across the province. She has managed stakeholder relations among private, public and non-profit organizations, and has successfully navigated projects through entrepreneurial environments. Amie holds a BSc in Biotechnology and an MBA for Science and Technology from Queen’s University in Kingston, Ontario where she focused on New Venture Management. Kevin Wright, Director, F.R.E.D. Group Inc., along with his team, help businesses obtain government funding from more than 150 federal and provincial business incentive and assistance programs, including SR&ED tax credits. 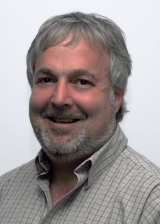 A recognized expert in the SR&ED field, Kevin works closely with the FRED team to deliver The FRED Advantage- a surround group of services that leverage the SR&ED process and funding that helps companies grow. Kevin has been active in the business since 2004, and prior to this, was an award-winning marketing director having worked for multi-national marketing, advertising and interactive communications companies. Niall Wallace, CEO, Infonaut Inc., is responsible for creating the vision for Infonaut’s software solutions, as well as leading corporate strategy and overseeing business development. He brings his healthcare experience to a number of advisory boards, including positions as co-chair of ITAC’s RFID Business Committee and as a member of George Brown College’s Innovation Board. He has spoken at numerous conferences across North America on the value of GIS and mapping technology for the healthcare sector. The discussion promises to be engaging and informative. Registration for the event is required by Dec. 8 .Check in and breakfast will start promptly at 7:30 in the Faculty Club (second floor of South Building of University of Toronto, Mississauga).